What happened in Queensland is that people are facing high unemployment relative to other states – 5.7 per cent when I last checked. We have been spending beyond our means, we are going to focus on the projects that we committed to in the election but importantly if there is additional projects or new things that come up they have to have a business case, they have to work and they can’t impose financial stress on families and private individuals and businesses. The idea that we are not going to look after the Great Barrier Reef, which is just a wonderful tourism resource that it can be just for one example – we are not going to look after it, we won’t have tight environment regulation, is frankly just not true. Campbell Kevin Thomas Newman is an Australian politician and the 38th and current Premier of Queensland since 26 March 2012. 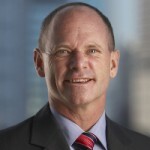 He has been the leader of the Liberal National Party of Queensland since April 2011, and was the 15th Lord Mayor of Brisbane from 2004 to 2011. Since the July 2008 merger of the Queensland Liberals and National Party of Australia, Newman has been a member of the LNP.